HMD Global has been on a launch spree this year, with several budget and mid-range phones hitting the shelves. What we’re yet to see is a flagship product, but that wait might soon be drawing to a close. 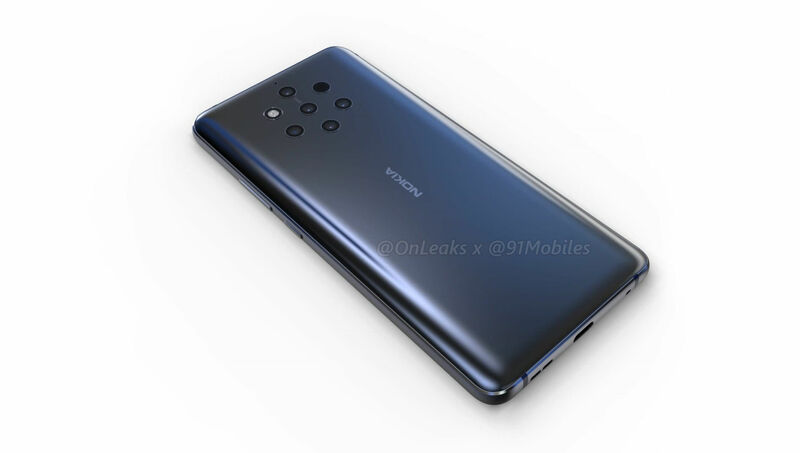 The device in question is the Nokia 9, which is special not only because of its purported Pureview branding, but the fact that it features a penta-camera setup at the rear. 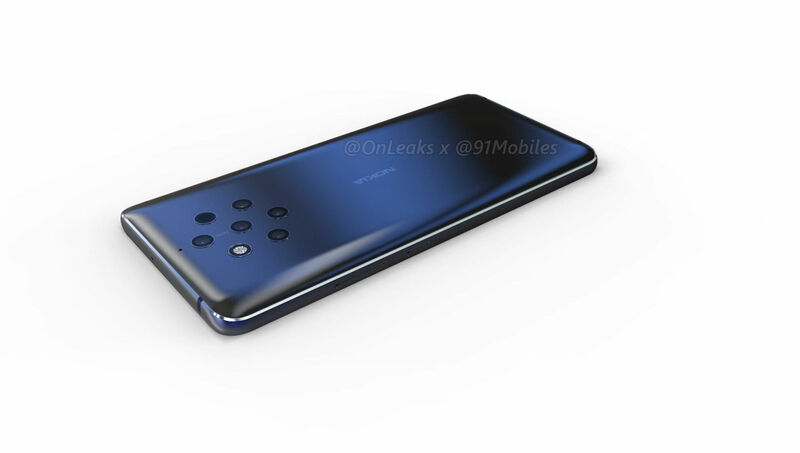 Thanks to a partnership with @OnLeaks, we’re bringing you exclusive 5K renders and a 360-degree video of the Nokia 9, which reveal several key details of the upcoming flagship. 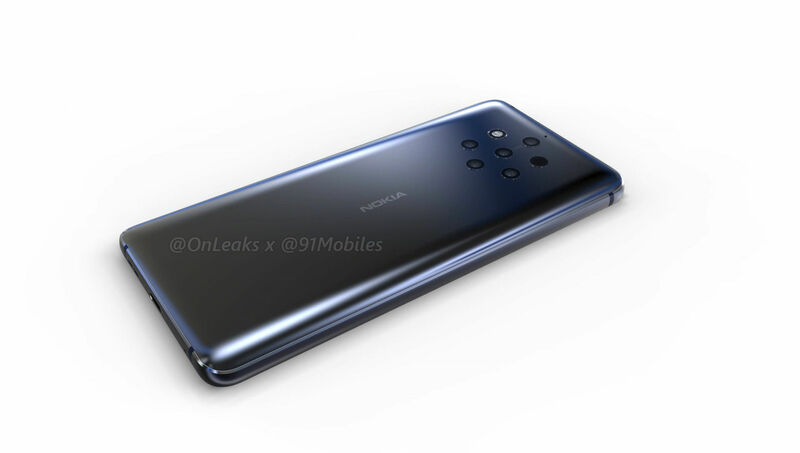 In line with earlier leaks, the Nokia 9 renders reveal seven rings at the back. While five of these are camera lenses, the sixth is a dual-tone LED flash unit, while the seventh (on the right) appears to be a dual-sensor which will likely be used for proximity detection. We can’t confirm exactly what the penta-camera lenses will consist of, but if we had to assume, we’d guess the setup includes a telephoto lens, a wide-angle lens and a depth-sensing camera, among others. 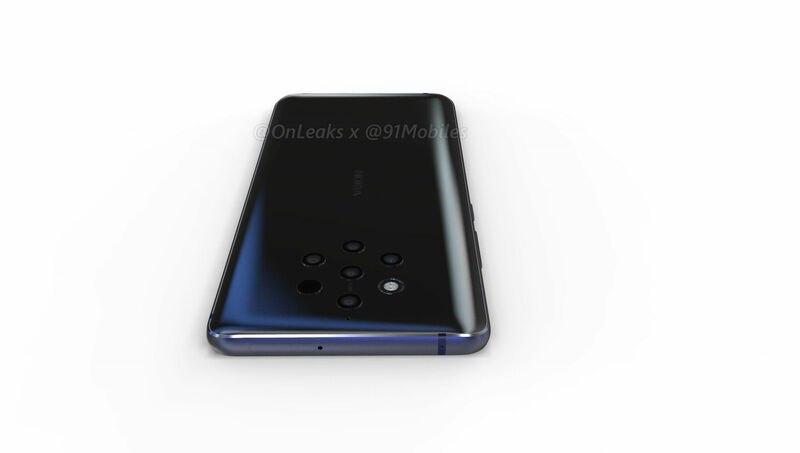 The renders show Zeiss branding between the cameras, and while there isn’t mention of PureView on the body, it’s almost a given that HMD Global will revive the iconic PureView branding with the Nokia 9. 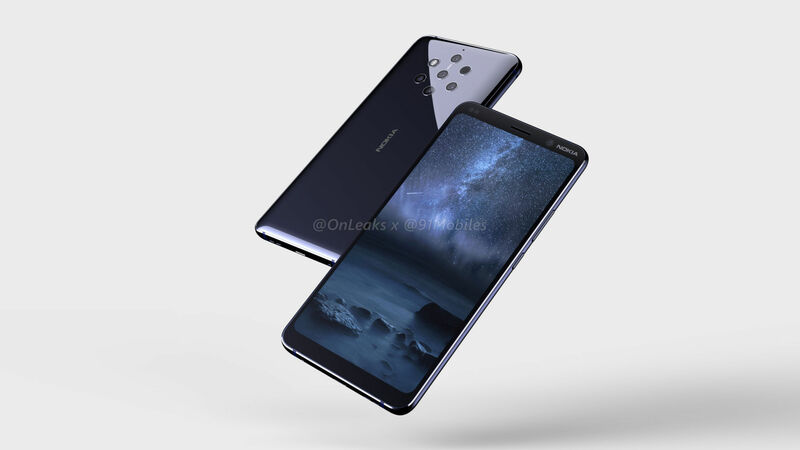 The Nokia 9 will likely sport a 5.9-inch display with QHD resolution. 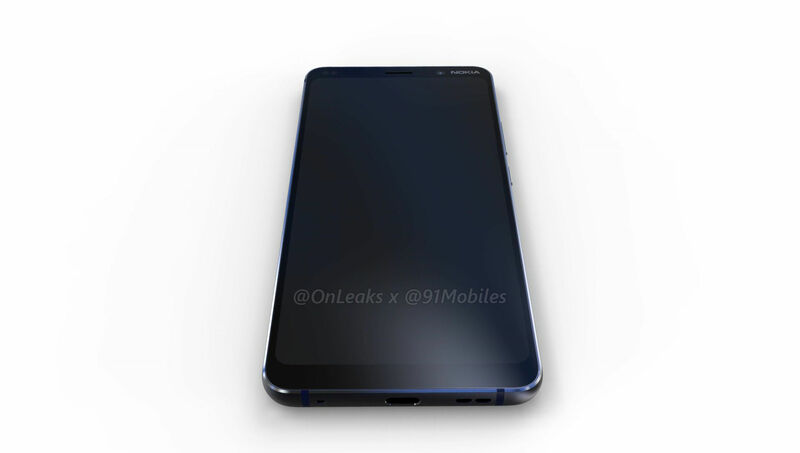 The screen appears to be an 18:9 inch panel, with narrow bezels all around. 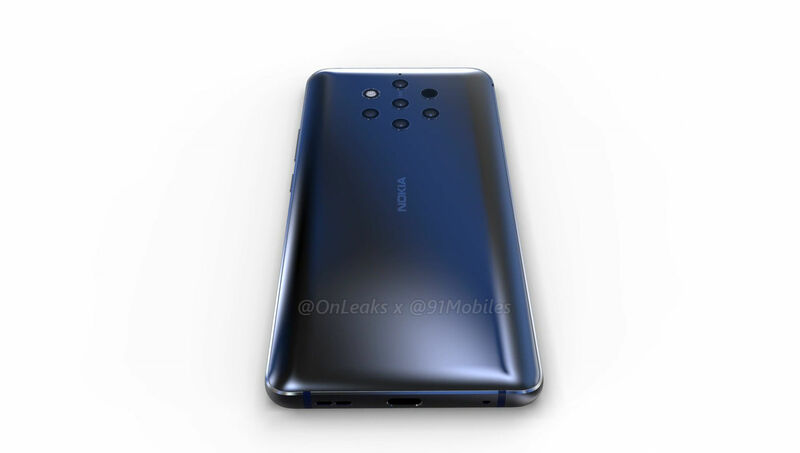 The dimensions of the Nokia 9 are expected to be 155 x 75 x 7.9mm. Above the screen, there’s a single front camera and two sensors. 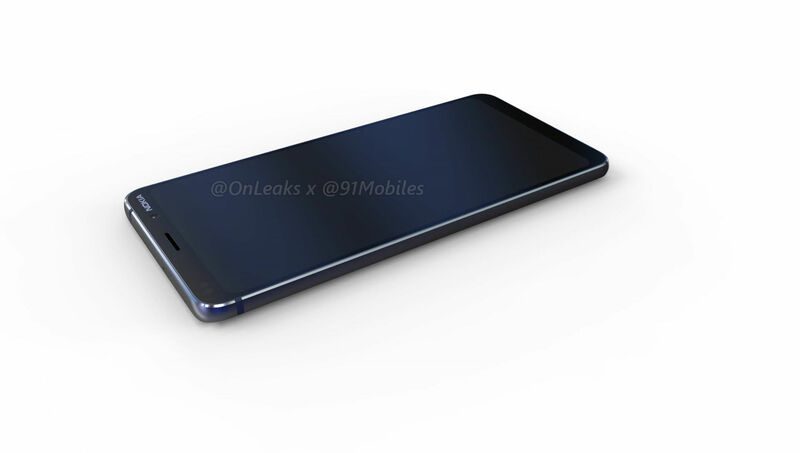 If you look at the renders, you’ll find there’s no physical fingerprint sensor on the device. This pretty much confirms previous rumours that the smartphone will feature an in-display fingerprint sensor, a feature we’ve most recently seen on the OnePlus 6T (review). It’s also likely that the device will support face unlock, but we can’t confirm that yet. 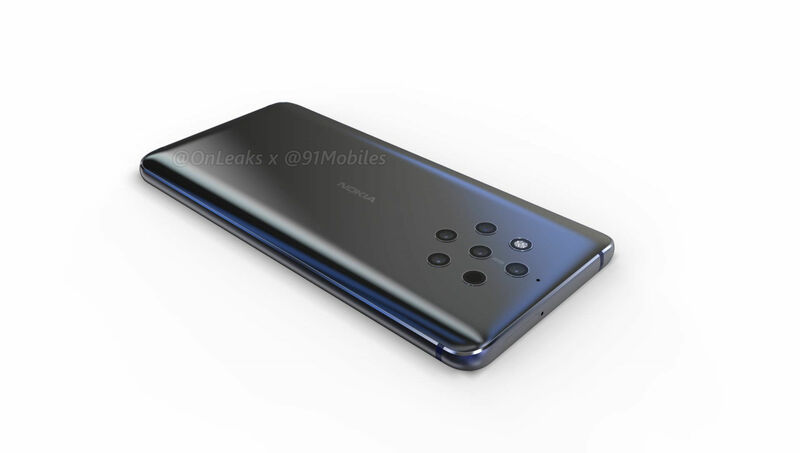 From the renders, it appears that the Nokia 9 sports a glass sandwich design with a metal frame in between. 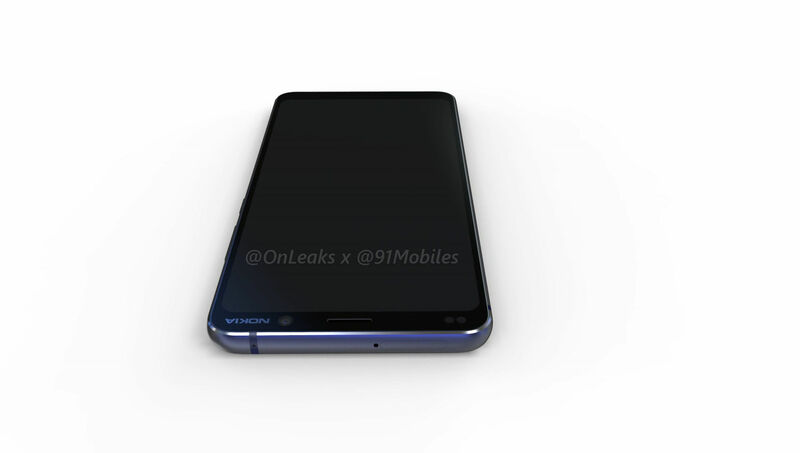 Thanks to the glass back panel, we expect the device to feature wireless charging. 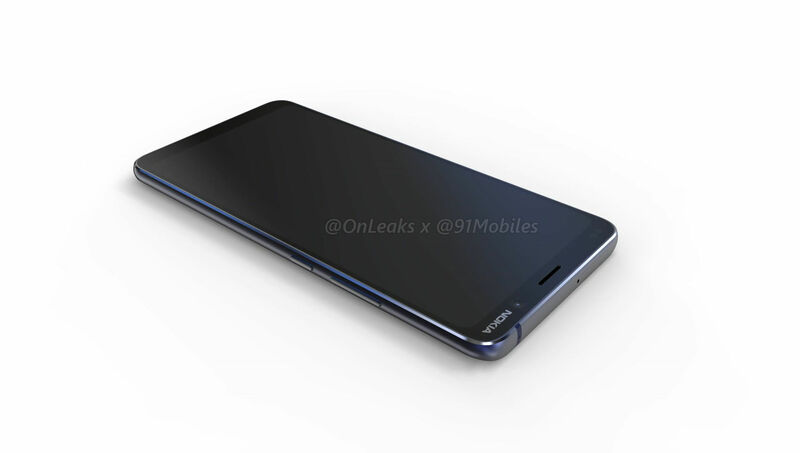 There’s a USB Type-C port on the bottom edge, alongside a loudspeaker grill and a primary microphone. 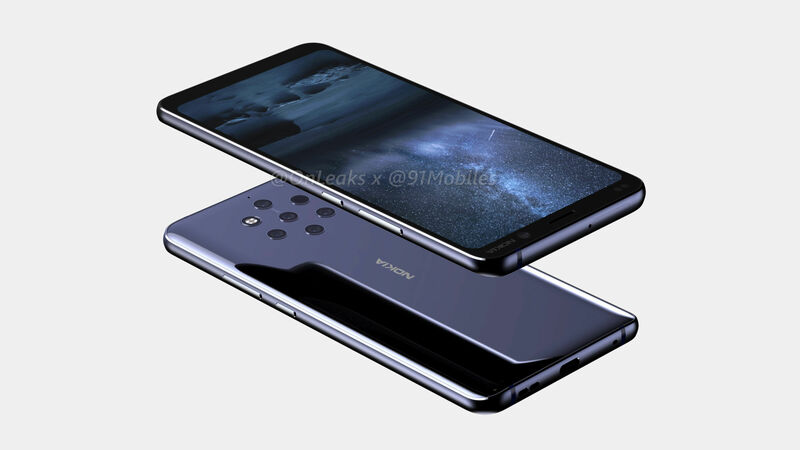 Unfortunately, the renders reveal that the device has no 3.5mm headphone jack, a feature which was also missing on Nokia’s previous flagship, the Nokia 8 Sirocco (review). The power button and volume rocker are on the right, while the ejectable SIM card tray has been moved to the top. A secondary microphone is cleverly integrated into the antenna band on the top edge, while a third (presumably noise-cancelling) microphone is located at the rear. 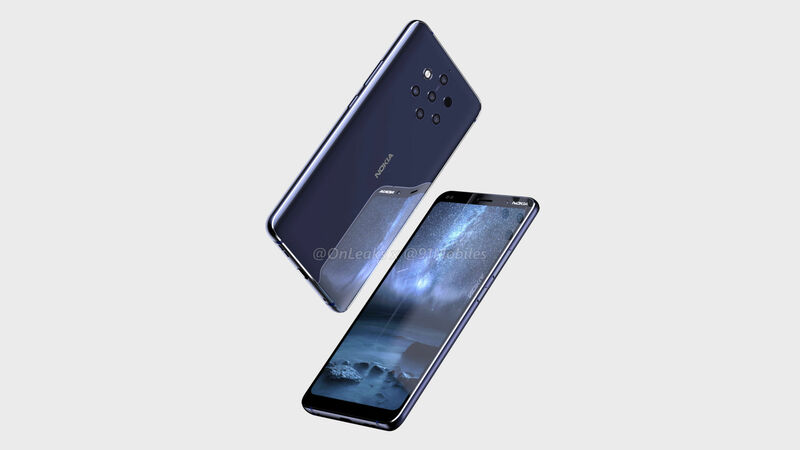 As for the other key specs of the device, a recent leak indicated that the Nokia 9 will run Android 9 Pie out of the box, and judging by previous Nokia devices, you can expect a stock interface. 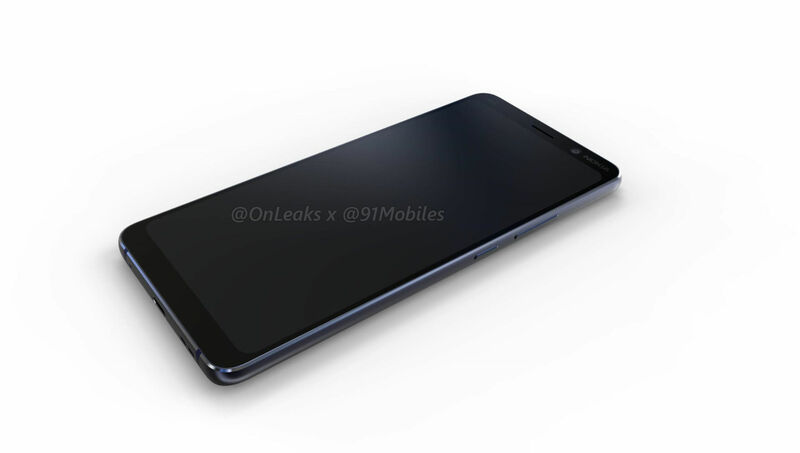 The leaks also indicate that the phone will be powered by the Qualcomm Snapdragon 845 processor, and not the upcoming Snapdragon 855 chipset, which might disappoint some users. Other expected specifications include up to 8GB of RAM, 128GB storage, a 4,150mAh battery and water- and dust-resistance. 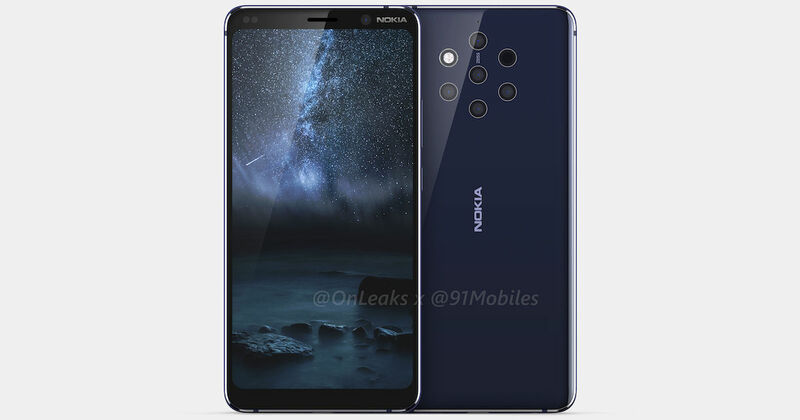 The Nokia 9 was initially expected to launch later this year, but it’s likely that HMD Global will push the launch to early 2019. 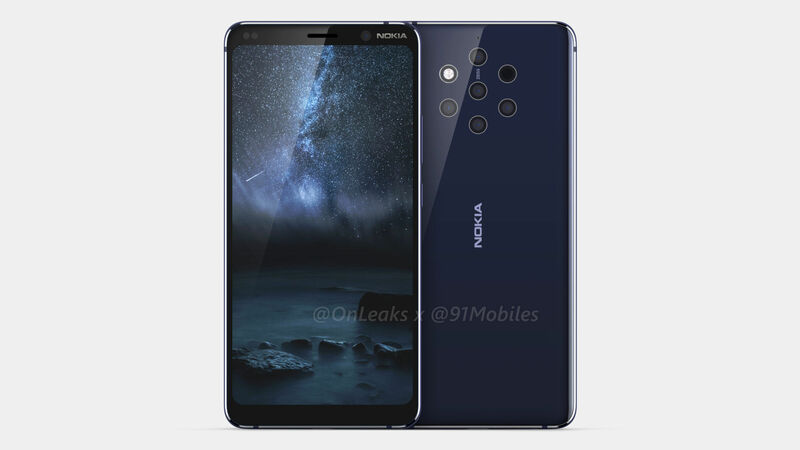 The pricing of the device isn’t known as of now, but we can safely assume this will be the most expensive Nokia flagship yet.